This degree prepares students for a challenging and rewarding career as a midwife. Students combine theoretical study with clinical experience in a range of settings, working with London’s diverse populations in leading hospitals and community settings. This course is designed for students looking for a rewarding career supporting women and their families through pregnancy and childbirth. As a graduate of the BSc Midwifery degree you will gain registration with Nursing and Midwifery Council (NMC) and will be qualified to practise as a midwife in the UK and overseas. Some countries require additional local registration. Read our School of Health Sciences student profiles and blogs to learn more about their experiences at City. As a student on the BSc Midwifery course you will benefit from outstanding teaching, facilities and practice placements at London’s leading hospitals and trusts. Teaching is a combination of classroom based theory, simulated practice in our specialist Clinical Skills Centre and clinical placements. You will be taught by academics who are registered midwives with a diverse range of experience over many specialist areas within the midwifery profession. Many of our academic team are actively involved in research, generating new knowledge which directly affects today’s practice and the curriculum you will be taught. Our priority is to make sure you enter the workplace with the skills and knowledge to support women through diverse experiences of pregnancy and childbirth. As well as preparing you to deal with ‘normal births’ you will learn how to deal with complicated and emergency situations many women experience. Alongside the practical skills needed to be a midwife we also help you develop your critical thinking and abilities to assess other factors affecting pregnant women and new mothers, such as their psychological wellbeing, social environment and culture. We will help you develop your skills to work within a multi-disciplinary environment whilst promoting midwifery lead care. As part of the course you will also have the opportunity to study a range of modules that cover the diversity of the professional including anthropology, looking at the culture of childbirth across the world and modules focusing on sexual health and how this affects pregnancy and new mothers. Successful graduates are eligible to apply for registration with the Nursing and Midwifery Council (NMC), which provides an internationally recognised professional qualification enabling you to practice in the UK and overseas. Additional qualifications may be required in some countries. 'A' Level - Typically ABB or a combination of 'A' levels (we do not accept General Studies or Critical thinking). Combined - A combination of A’levels and BTEC are welcome but will be reviewed on an individual basis. UCAS tariff - 128 points. For more information on the new UCAS tariff system, please visit the UCAS website. BTEC - DDD (Extended Diploma in Health and Social Care or Science-related subject). 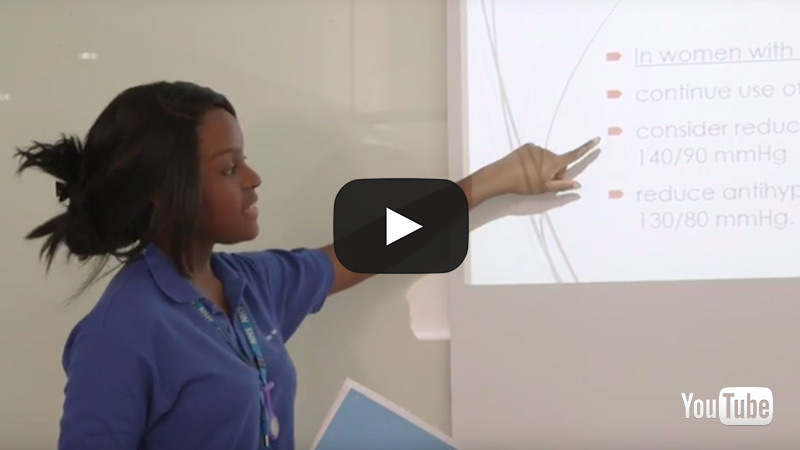 GCSE: A minimum of five passes at grade 4 (C) GCSE, including English Language and Mathematics. Please note: we will not accept any equivalent qualification, only GCSEs. GCSE requirements for applicants studying an Access to HE Diploma are detailed below. Pass in a QAA recognised Access to HE Diploma in a Nursing, Midwifery, Health, Science, or Social Care subject NOT Nutrition or Paramedic Studies. Full award (60 credits) of which a minimum of 45 credits must be at Level 3 including 30 credits at Distinction. Applicants must also hold GCSE English Language and Mathematics at grade C (4) or above at the point of application to the programme. Special requirements: Students are required to have occupational health and enhanced DBS (disclosure and barring service) clearance. Academic and character references are also required. Please be advised that this programme has been approved by City, University of London for delivery. The programme is due to be considered for approval by the Nursing and Midwifery Council on 20 March 2019, which may result in changes to the content and structure of the programme. We hope to confirm Nursing and Midwifery Council approval no later than Tuesday 30th April 2019, if not before. Your application for entry in September 2019 should arrive at UCAS between September 2018 and 15th January 2019. Applications that arrive after 15th January 2019 will be considered only at City’s discretion. of students go on to work or further study within 6 months of graduation. of overall satisfaction with learning resources (NSS, 2017). ** The fee for your first year of study will be £25,000. The institution reserves the right to increase your tuition fees annually to take account of the institution's increased costs of delivering educational services. The increase will normally be 2% but this is kept under review with reference to the RPI. If the institution intends to increase your tuition fees you will be advised of this alongside the published entry fee. Find out more funding information for studying nursing, midwifery and the allied health professions in England from the official Council of Deans of Health website. Midwifery student Rachel shares her experience of studying at City and her advice for future students. Practice experience is a vital part of the BSc Midwifery degree and enables you to put theory into practice and use your skills in a variety of real life contexts. 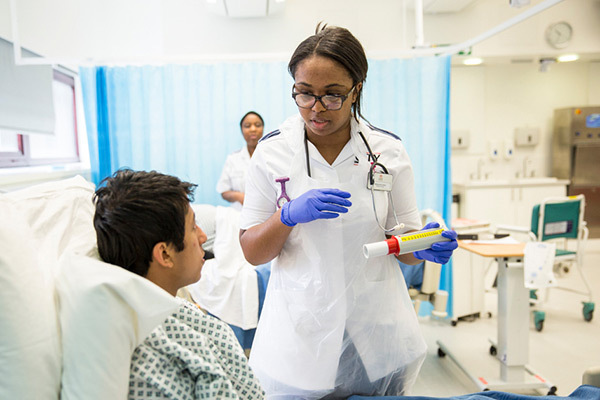 This includes mandatory learning in the workplace, which comprises approximately 60% of your degree on clinical placement with placements taking place in London's leading hospitals and community settings such as Barts Health NHS Trust, Homerton University Hospital NHS Foundation Trust and University College London Hospitals NHS Foundation Trust. You will be placed in settings such as midwifery-led units, home births, birthing centres, delivery suites, antenatal and postnatal settings, maternal and fetal assessment specialist areas and special care baby units. You will work and learn alongside consultant midwives and specialist midwives. Throughout the course your placements will vary to give you the range of experience needed to practise as a midwife. You will have the opportunity to undertake placements in specialist areas including teenage pregnancy, bereavement, diabetic care, antenatal screening and supporting vulnerable women through pregnancy and childbirth. Whilst on placement you will be fully supported by City and will receive regular visits by your link lecturer (approximately once a week). You will also have a dedicated clinical placement facilitator within the workplace who will support your development whilst on placement. Many of our midwifery graduates work within the hospitals and trusts we partner with and are always happy to see a fellow City student. Find further information about our placement partners and trusts under our School of Health Sciences section. Clinical placement – 37.5 hours attendance per week. Our specialist Clinical Skills Centre at our Northampton Square Campus has been designed to give students a safe environment in which to practise their clinical and caring skills. Designed to reflect working wards and clinical environments, you will be able to familiarise yourself with equipment and practices before commencing placements. We have a range of specialist equipment that is used to simulate birthing situations from normal to emergency, to enable you to develop the skills you need no-matter the birthing situation you are supporting. You will have access to a simulated 6-bedded ward with realistic equipment including piped oxygen, call bells, medicines and emergency equipment; laboratories, including a biology laboratory, allow students to rehearse their skills in preparation for practice in a range of placements, including clinics and women’s homes. 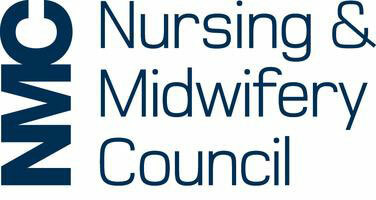 The Midwifery degree is taught by staff who are leaders in their field of practice and education. Many of our academics are also leading researchers, directly influencing today’s practice. This means that you will study the most up-to-date curriculum and practices, directly from those informing the profession. You will experience a range of learning and teaching strategies including lectures, small groups, tutorials, enquiry based learning, simulated and clinical practice, self-directed learning and e-learning. Simulated practice will enable you to practise your practical caring skills within the safe environment of our specialist Clinical Skills Centre in preparation for your clinical placements, where you will be working alongside professional midwives and healthcare practitioners in real-world settings. You will be fully supported throughout your clinical placements by academic staff and clinical placement facilitators within your practice setting. Year 1 assessment includes ongoing practical assessment of clinical skills. Year 2 assessment includes 1 practical exam and ongoing practical assessment of clinical skills. Year 3 assessment includes 1 practical exam and ongoing practical assessment of clinical skills. Each module is assessed using a range of methods including written assignments, simulations, examinations, practice-based assessments and skills assessments. In your first year of study, you will develop skills, professional knowledge and an understanding of the midwife's role, working in partnership with women and multidisciplinary teams. An introduction to the fundamental principles of midwifery care, including normal childbirth is included. An introduction to professional midwifery practice. In the second year, using evidence in midwifery practice, you will develop your identity as a midwife. Wider issues such as women's health and the public health role of the midwife are covered. You will be able to recognise the value and importance of working within a multi-professional team to ensure the best possible outcome for women and babies when complexities arise. Skills for co-ordinating complex midwifery care (practice experience). In the final year, you will gain competence in caring for women who choose to have midwifery-led care, including home birth, as a mode of delivery. You will be supported to develop your autonomy and accountability as a midwife. In year 1, typically, this includes 24 weeks academic work, 21 weeks clinical placement, 7 weeks holiday. In year 2, typically, this includes 16 weeks academic, 29 weeks clinical placement, 7 weeks holiday. In year 3, typically, this includes 16 weeks academic, 29 weeks clinical placement, 7 weeks holiday. Midwifery is a challenging career which allows you to develop your skills and interests within a range of specialisms within the profession. Successful graduates gain registration with the Nursing and Midwifery Council (NMC), which provides an internationally recognised professional qualification allowing you to practice in the UK and overseas. Some countries require additional local registration. Careers prospects are excellent; 90% of our graduates go on to employment or further study within 6 months of graduation. Our graduates secure employment with trusts including Barts Health NHS Trust, Homerton University Hospital NHS Foundation Trust and University College London Hospitals NHS Foundation Trust. As a graduate midwife in London you should expect to start your career with an annual average salary of £29,000. Progression within the midwifery profession is common, with many graduates advancing to a Band 6 role within 6-12 months of graduating (qualified midwives start on a Band 5 contract) and continuing to steadily progress throughout their career. A range of career opportunities are available for midwives in midwifery led stand-alone birth centres, acute units, and independent practice, consultant and specialist roles. Midwives can also work independently and self-employed as independent midwives.